This huge sleeve over the exhausts is cowled from the oil coolers back, the idea being to harness the exhaust gas energy to entrain air through the sleeve and enhance airflow and hence better cooling thru the oil rads. 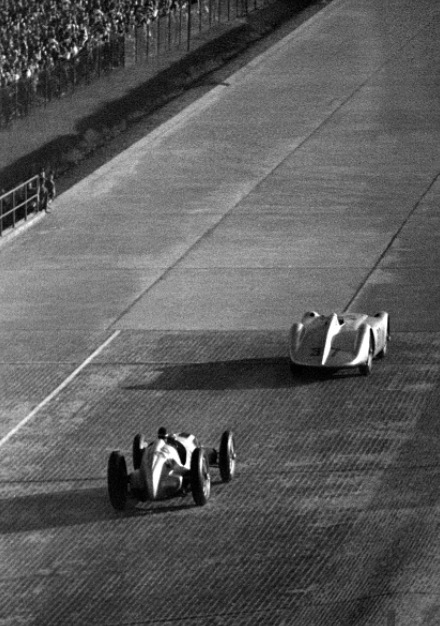 Francois hadn’t done too many laps when the ‘prophylactics’ parted company with the car at very high speed, bouncing their way into lightweight schrapnel around the famous autodrome, fortunately ‘002’ was well clear of any following cars at the time! 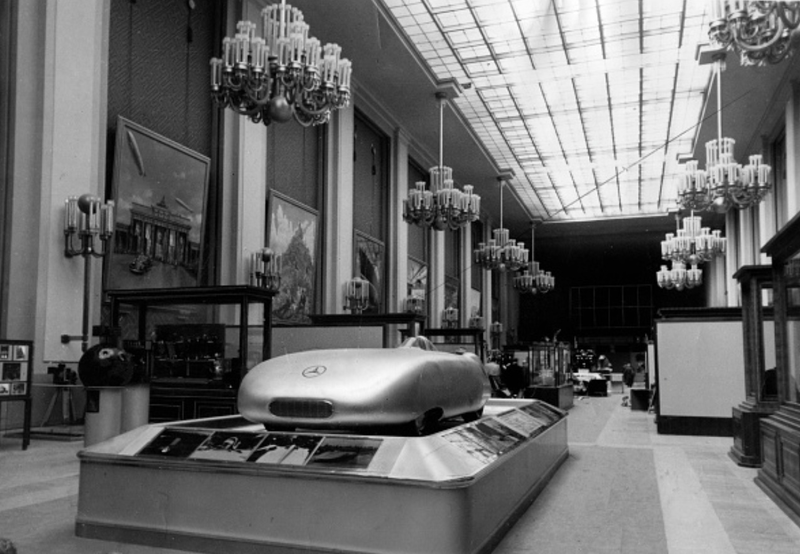 The shot below shows a standard ‘006’ rear end to give an idea of how the car appeared sans ducts. 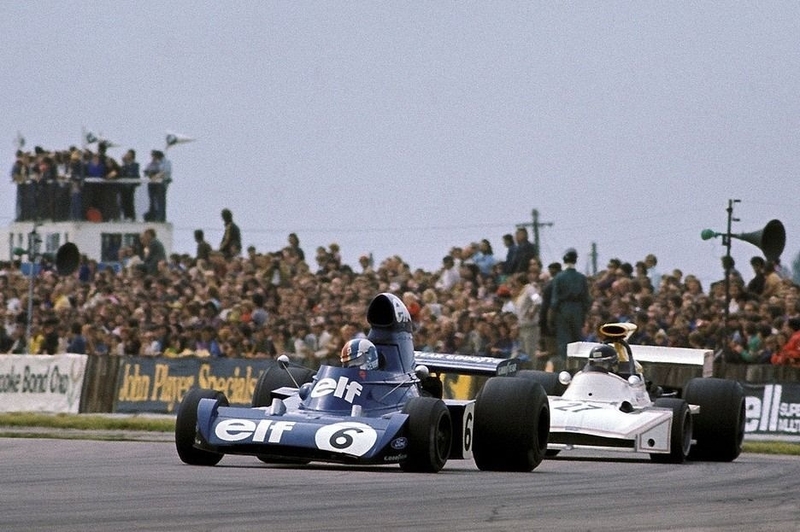 Ken Tyrrell and Jackie Stewart discuss the sublime weather before Francois is sent on his way. 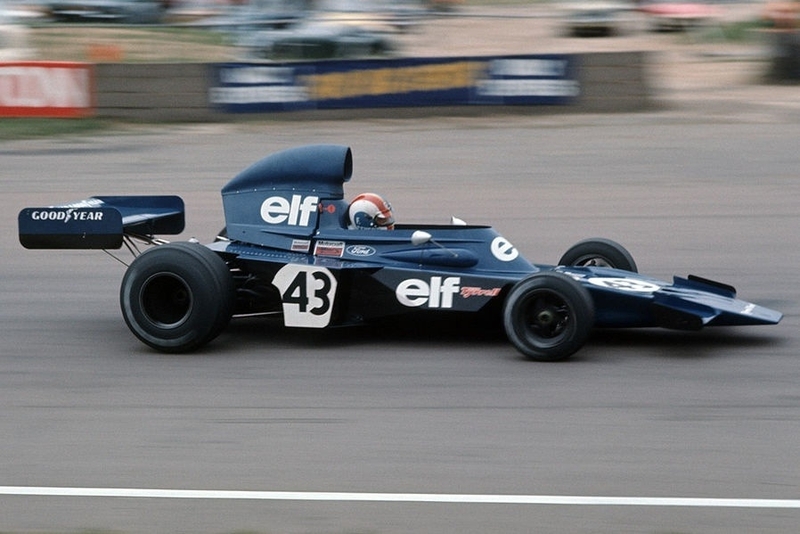 These cars evolved a lot throughout 1972/3, the Tyrrells arguably (Lotus 72 pace duly noted!) 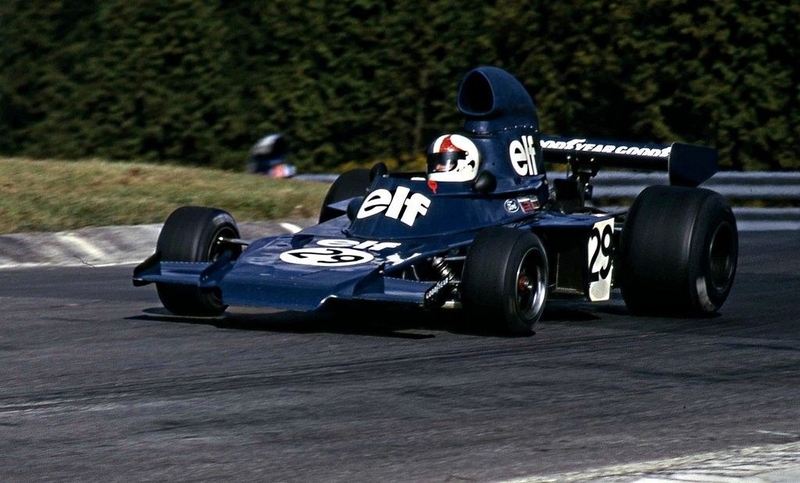 the quickest cars of the era from the time ‘001’ first raced at Oulton Park later in 1970 until Stewart’s retirement and Cevert’s death at Watkins Glen at the end of 1973. 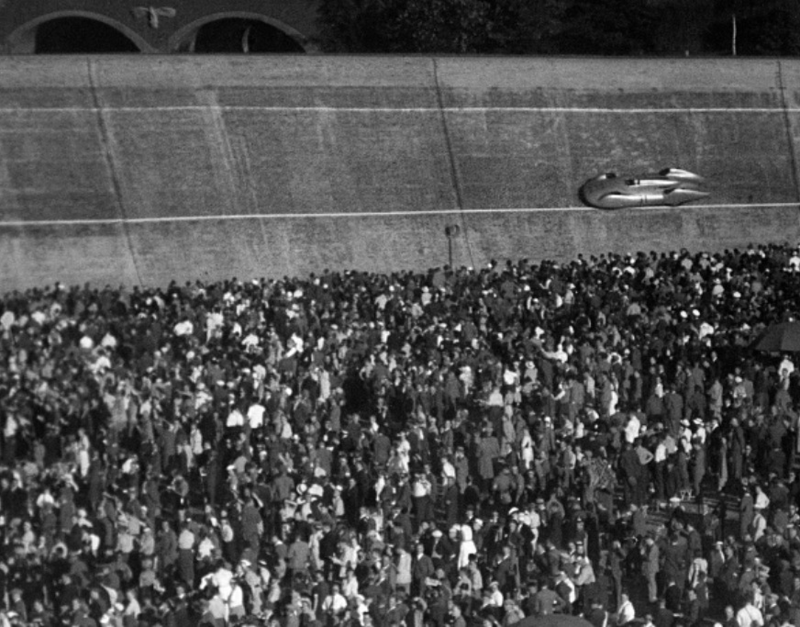 Monza ’72 wasn’t a good race for the ‘Boys in Blue’ at all though, JYS popped a clutch on the line and was lucky not to get ‘whacked up the clacker’ at a million miles an hour and Francois’ engine ‘popped’ on lap 14. 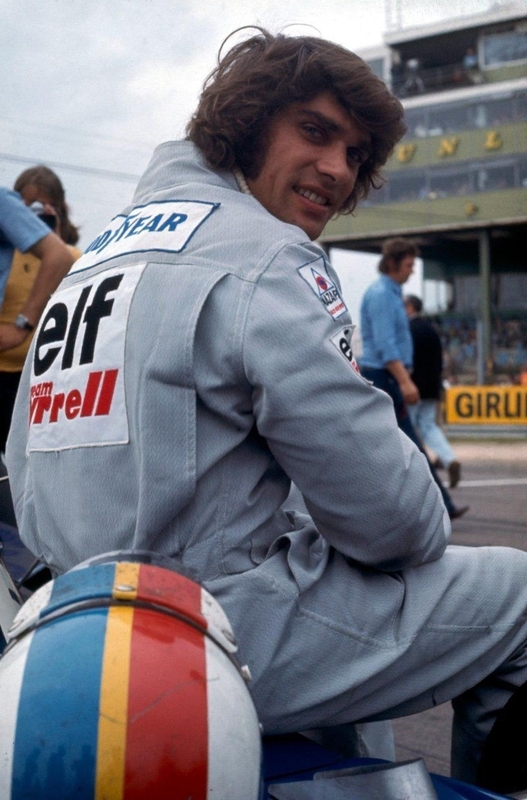 Emerson Fittipaldi took the race and the ’72 title in his Lotus 72D Ford. Here Francois is testing ‘005’ during British GP practice at Silverstone in mid July, JYS did a few laps in the same car carrying #42. 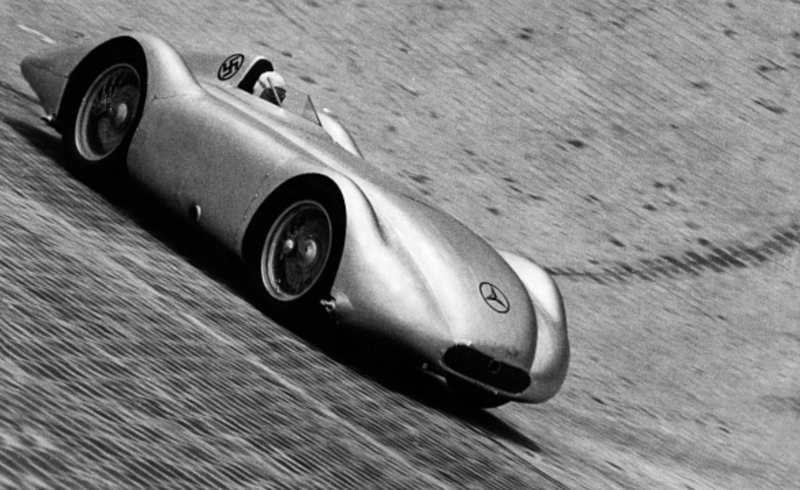 It looks remarkably cohesive for a car designed originally with a totally different bluff nose aerodynamic concept! 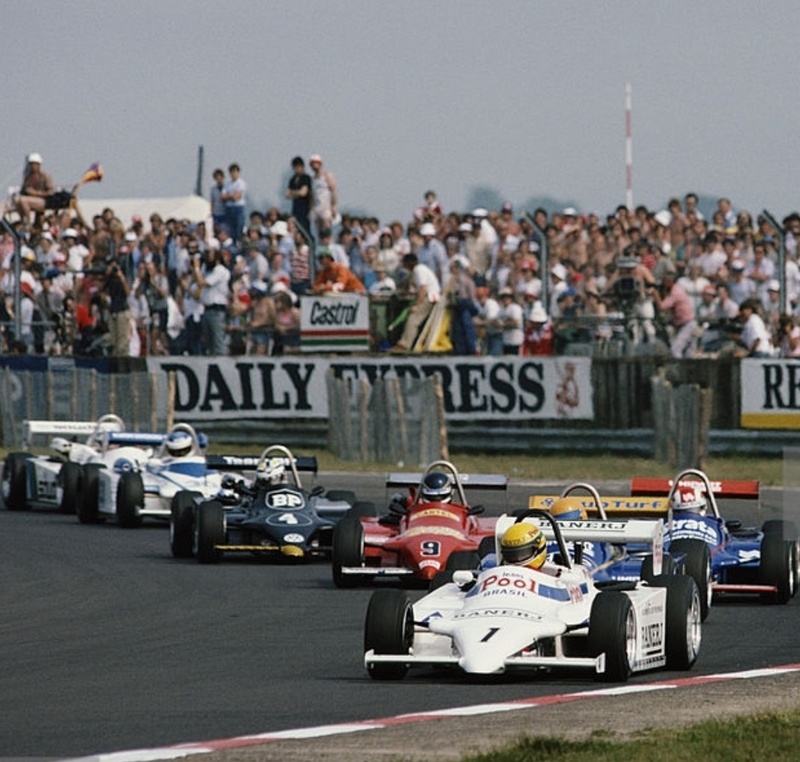 It was a good year until the USGP, JYS took his third title in the ‘low polar moment of inertia’, short wheelbase, twitchy but very quick in both Stewart and Cevert’s hands, Tyrrell 005/006 cars. 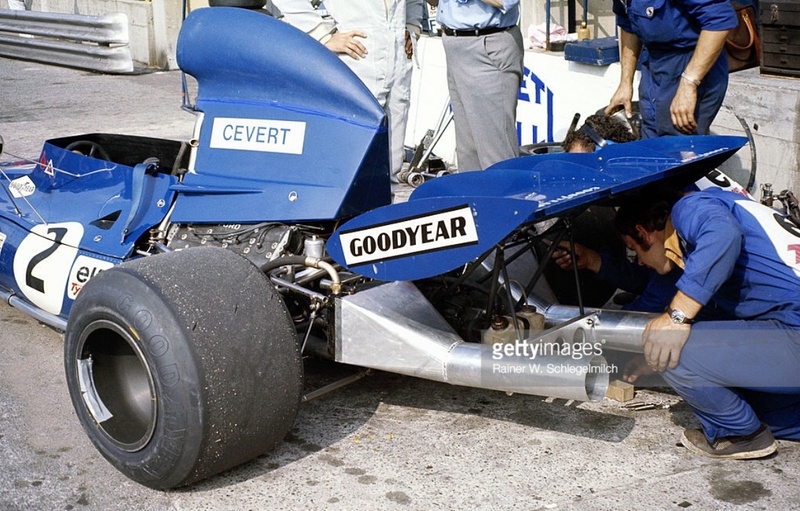 Gardner had a pretty handy additional test pilot in Chris Amon who was contracted the drive the spare Tyrrell 005 in the end of season North American GP’s at Mosport and Watkins Glen. 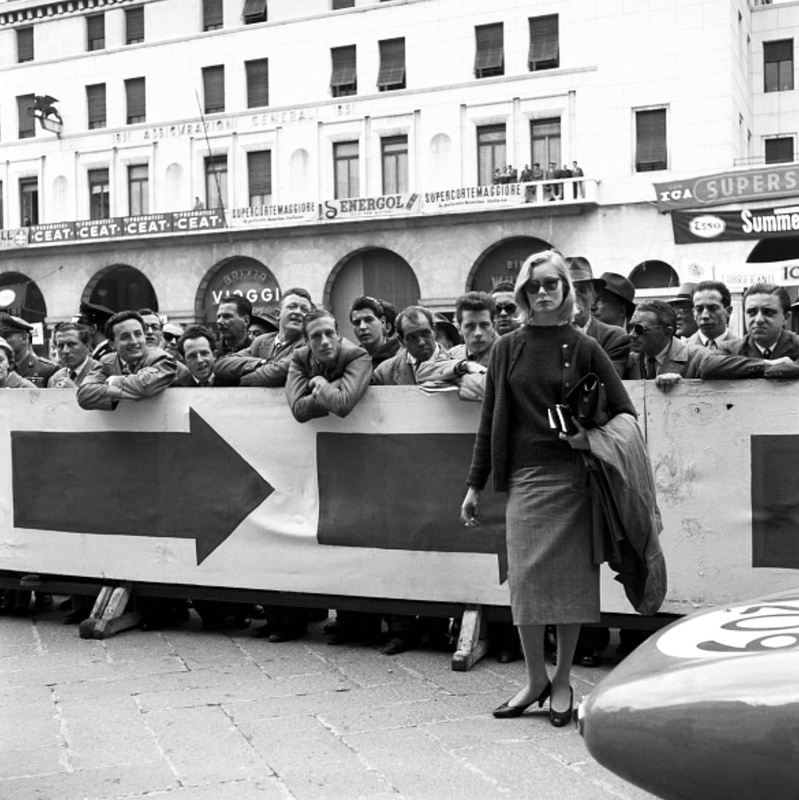 Chris was always rated as a test-driver by all he raced with from Ferrari’s Mauro Forghieri ‘down’. 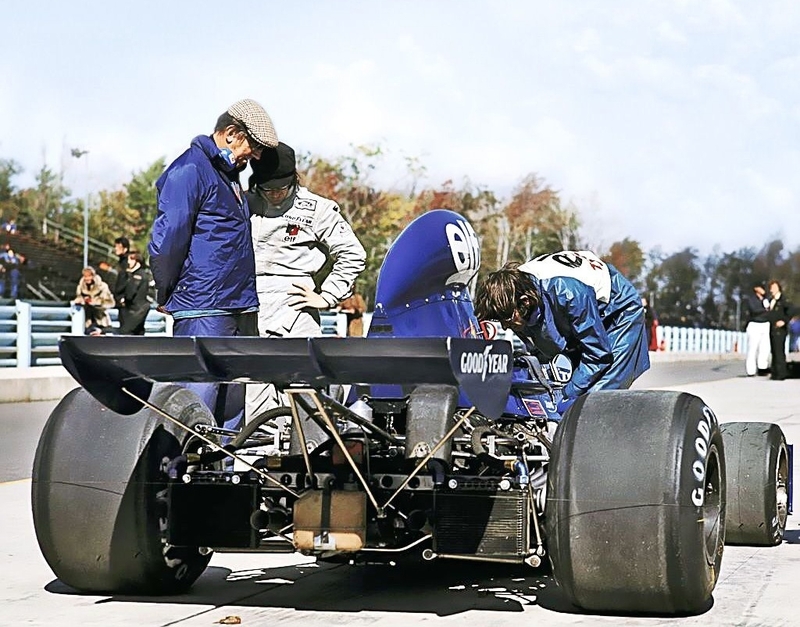 Amon raced 005 in side radiator/chisel nose spec in Canada, he didn’t race it at Watkins Glen after Francois’ fatal accident on the Saturday resulted in Ken Tyrrell withdrawing the teams cars for the race, which would have been the retiring Stewart’s 100th GP. 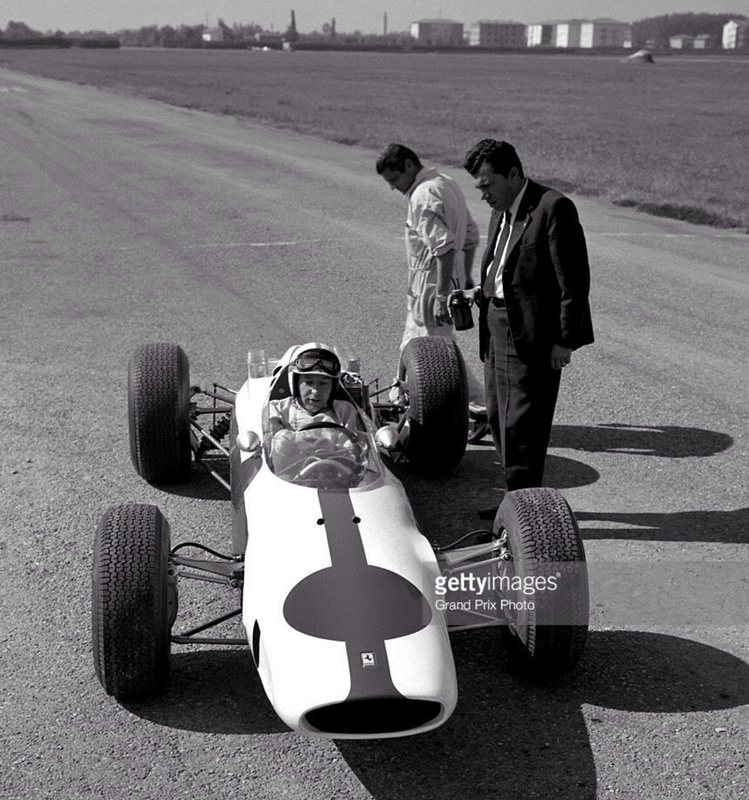 Derek Gardner tested the ‘chisel nose, side radiator’ aerodynamic approach pioneered by the Lotus 56 at Indianapolis in 1968. After the history making changes at the 1973 seasons end Derek Gardner threw out the conceptual approach he had decided upon for 1974. 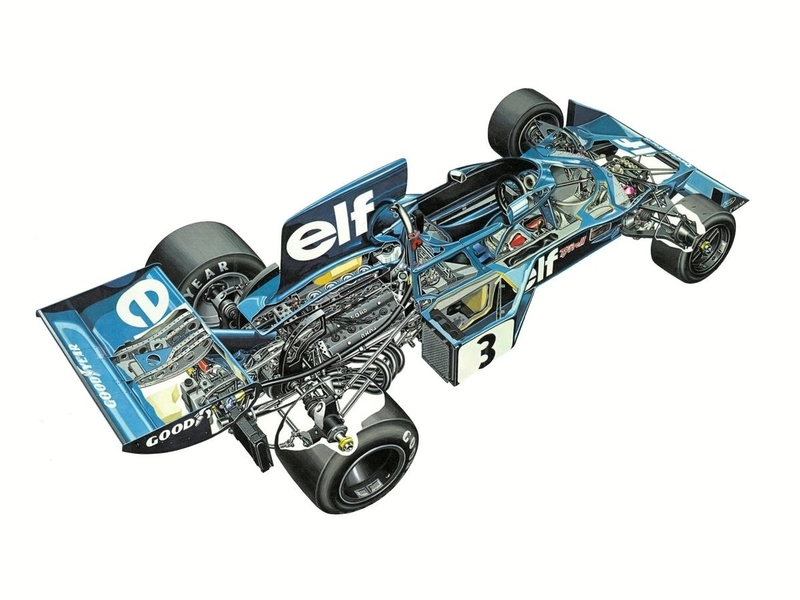 The car was to be a ‘highly strung thoroughbred’ from which maestro’s Stewart and Cevert could extract every ounce of performance. 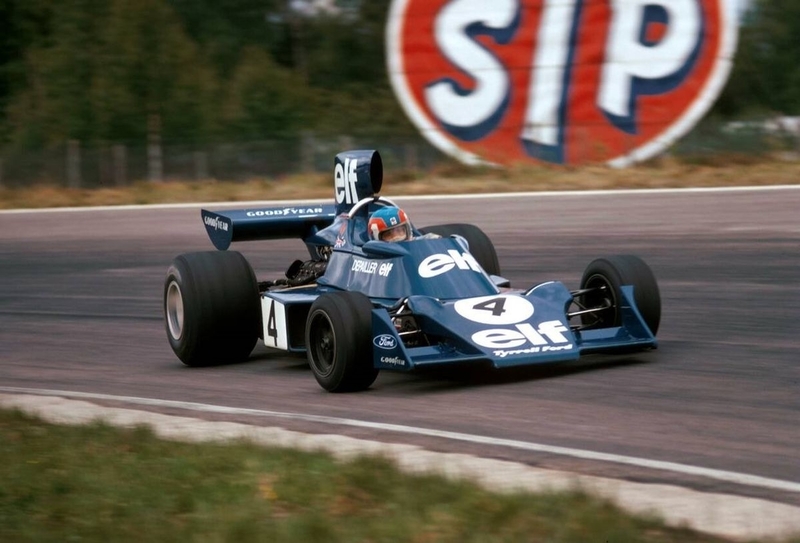 His change was to a much more forgiving chassis attuned to the developmental needs of ‘cub drivers’ Jody Scheckter and Patrick Depailler for 1974, his ‘007’ design the very effective result. 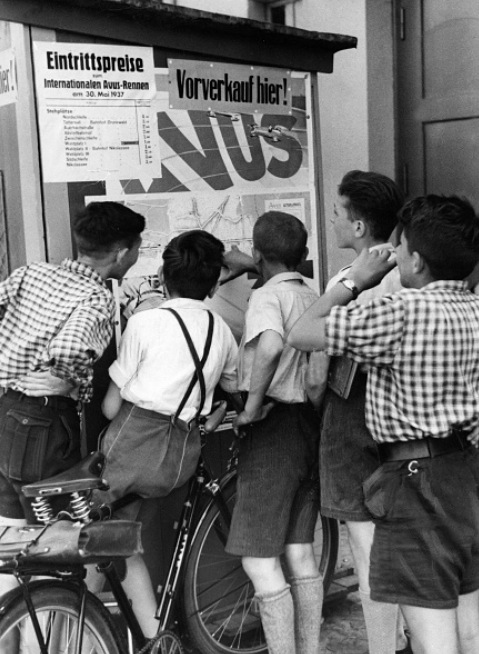 Posted: May 29, 2016 in Fotos, Who,What,Where & When...? 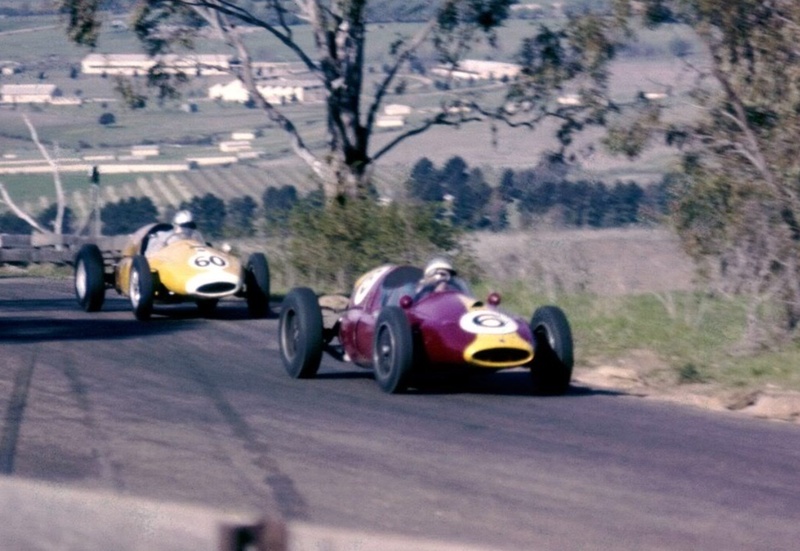 The two drivers are contesting the ‘Craven A International’ won by Jack Brabham from Bill Patterson, and Stillwell in 2.5/2.4 and 2.2 litre Cooper T51’s respectively. 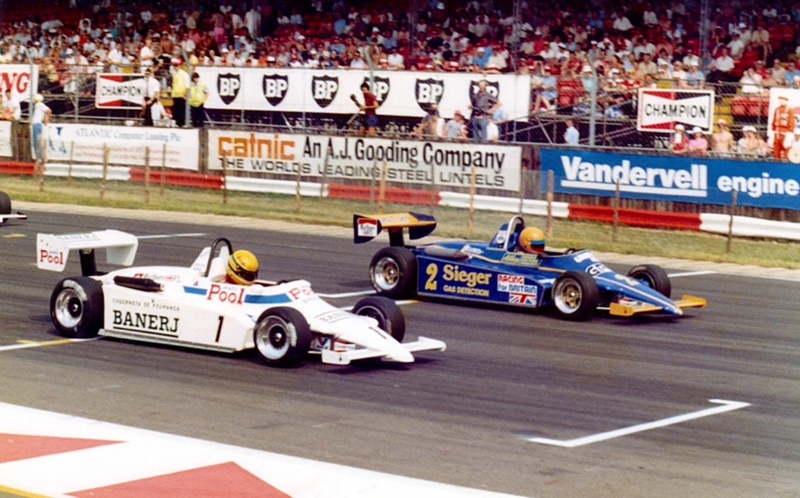 Miller retired his 2.2 litre engined car during the 26 lap race. Note the beautiful bucolic Bathurst surrounds of apple orchards and grazing paddocks, is a dangerous place, especially then, these cars mighty quick. 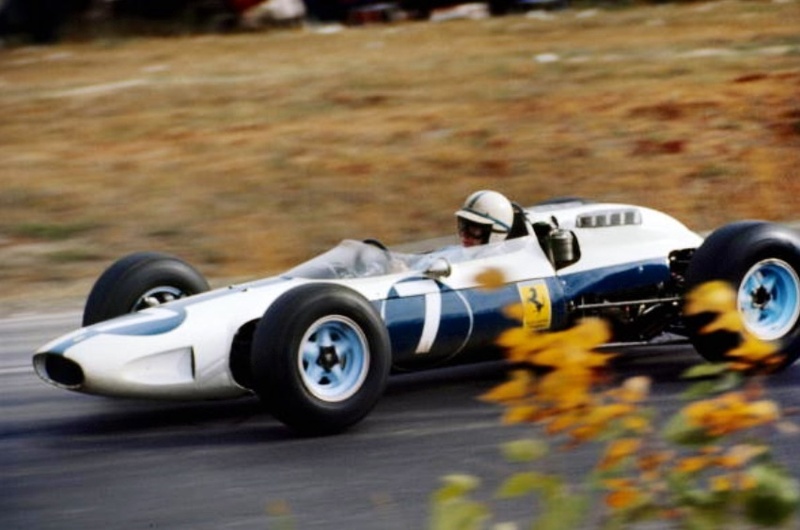 Jack was in the process of winning the 1960 GP championships for himself and Cooper, returning to Oz between the Italian GP at Monza on 4 September and season-ending USGP at Riverside on 20 November. 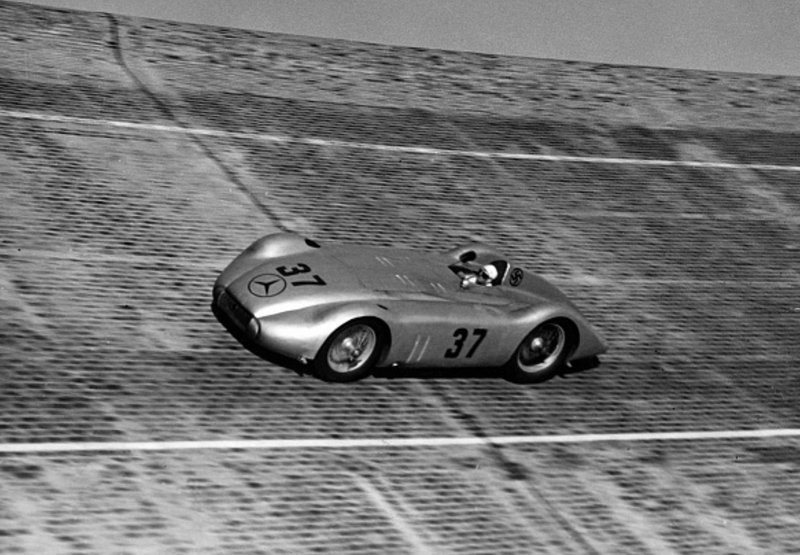 He won the title with 5 wins from teammate Bruce McLaren and Stirling Moss (Lotus 18 Climax). 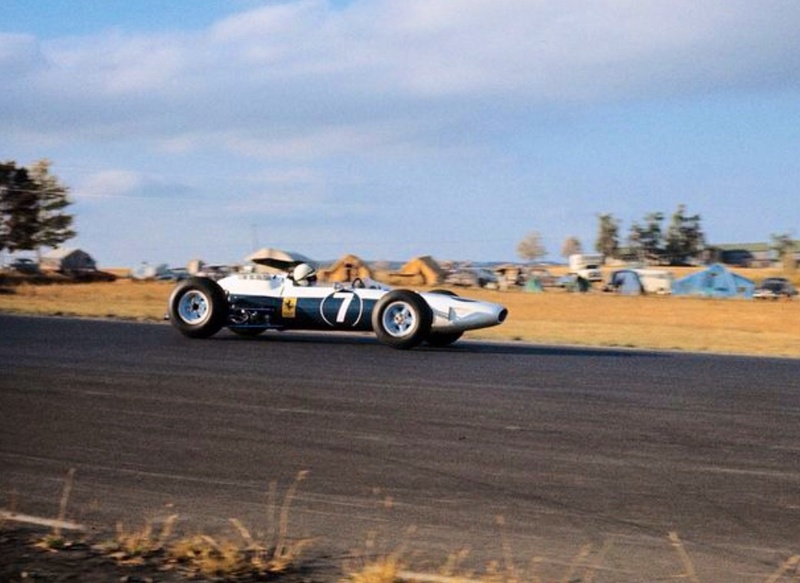 Jack and Bruce drove ‘Lowline’ Cooper T53’s that season. The tyre marks are from Doug Whiteford’s Maser 300S which had a component faiure earlier in the meeting. 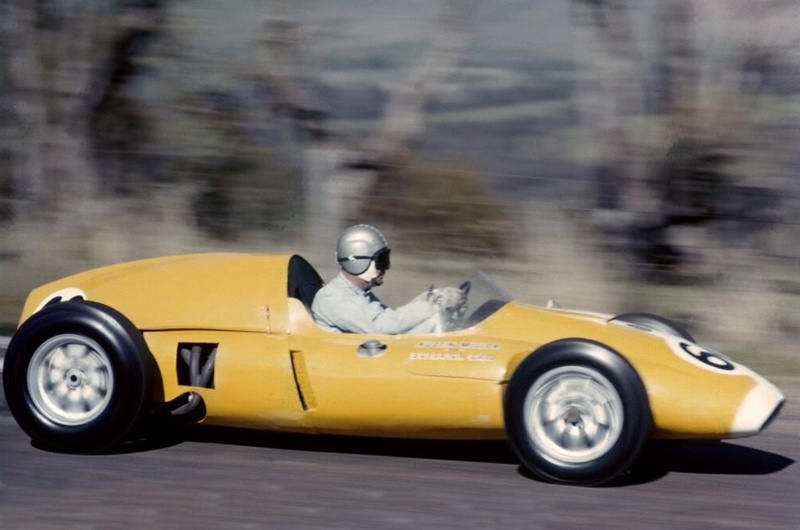 The Gold Star title for Australia’s champion driver that year was won by Alec Mildren in another T51 but interestingly powered by a 2.5 litre Maser 250S ‘Birdcage’ engine. I’ve already written an article or two about Stillwell. 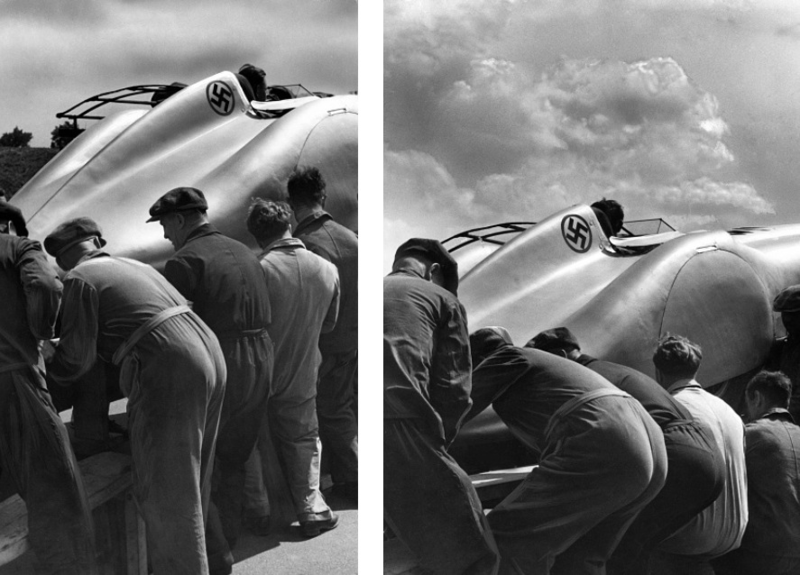 Businessman, crop-duster pilot, publican, racer and Australian Land Speed Record Holder ‘Aussie’ Miller is an intensely interesting character, article coming soon! I know his son Guy having raced against him in FF and his engineer Geoff Smedley has helped with another article, must call ’em! 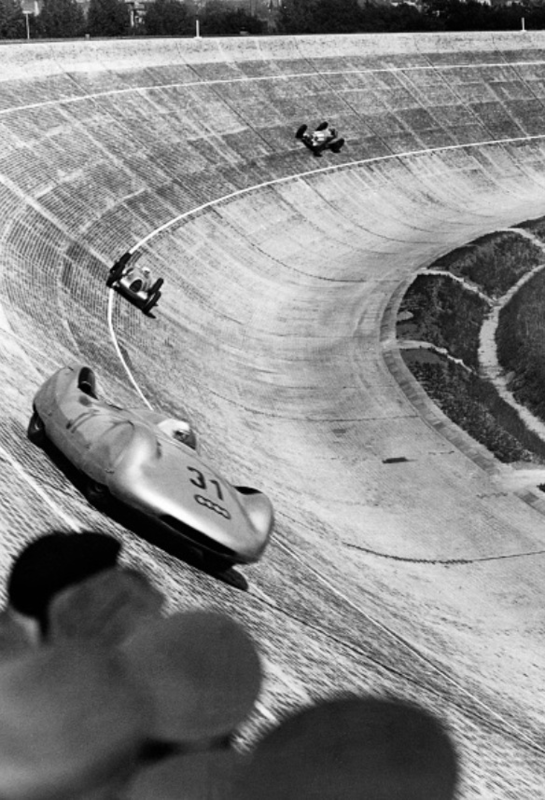 The shot below is also at Bathurst, its Austin heading across the top of the ‘mount. 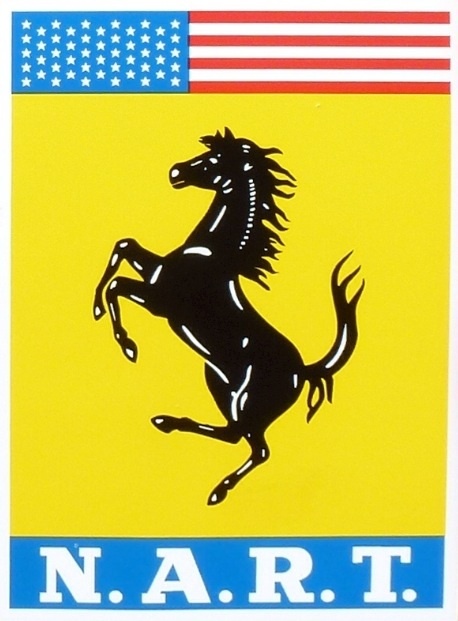 ‘Superior Cars’ signage is one of Stan Jones Melbourne dealerships. Posted: May 27, 2016 in Icons & Iconoclasts, Who,What,Where & When...? 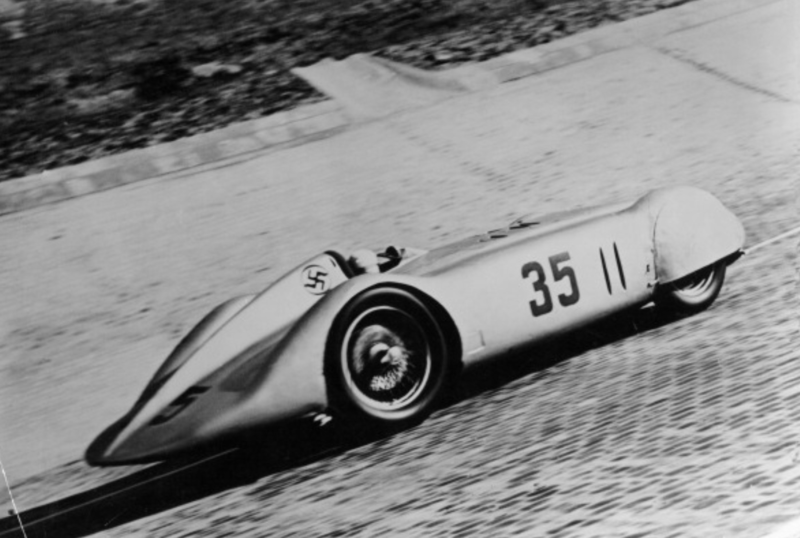 His car is a 1936 speed record chassis rebuilt with a long wheelbase and the ‘standard’ 5.7 litre straight-8 fitted to the W125 GP cars that season. 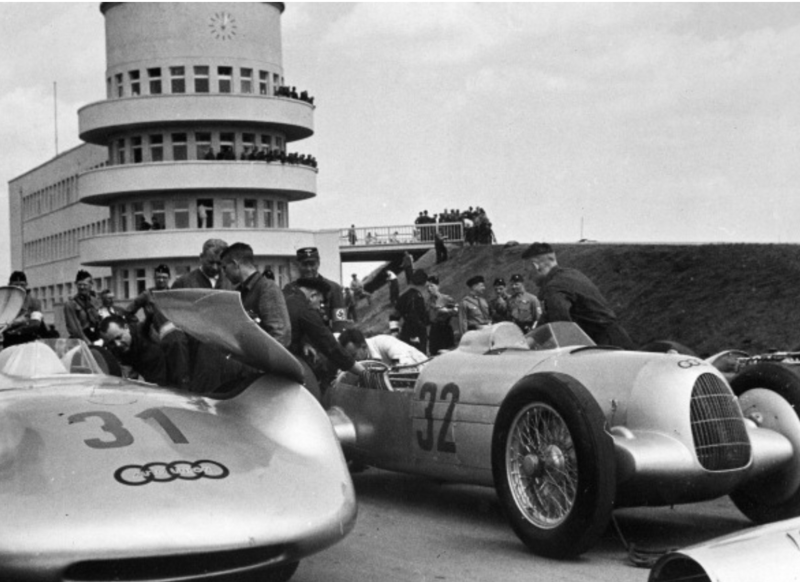 The ‘final’ race of the meeting was the fastest race ever until the Monza 500 in 1958, Rosemeyer’s Auto Union fastest practice lap, 176.7mph and the fastest race lap, in two of the heats 171.74mph by Rosemeyer and Lang! 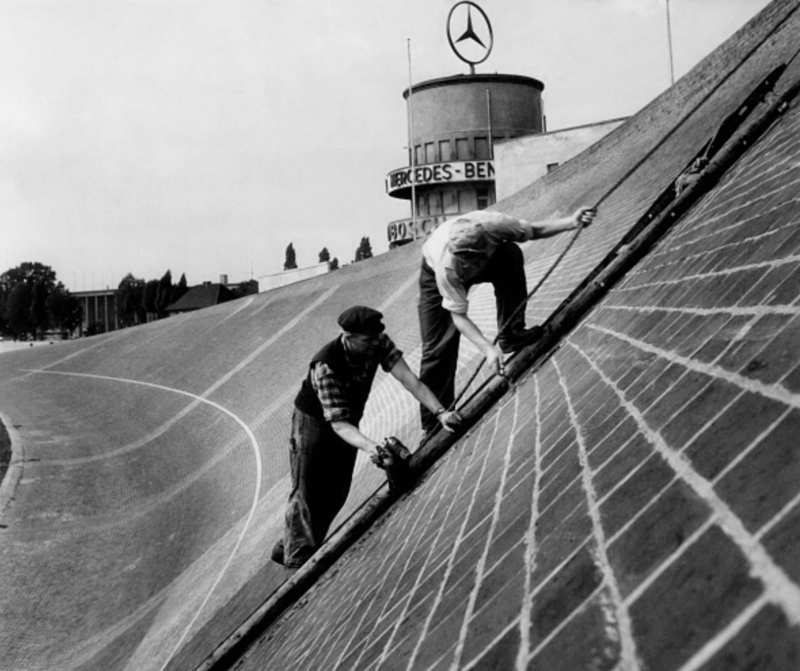 The Germans didn’t race at Avus during 1936, they were rebuilding Berlins fastest circuit in the world into something even quicker with the addition of the ‘Nordschleife’ and massive ‘wall of death’ banking at 44 degrees. 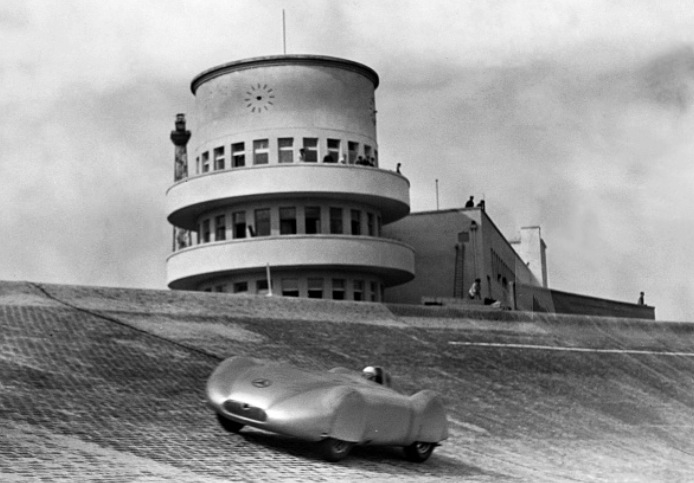 Avus was built in 1921 and used for racing until 1998 when it was absorbed fully into Germany’s road network as autobahn # 115. 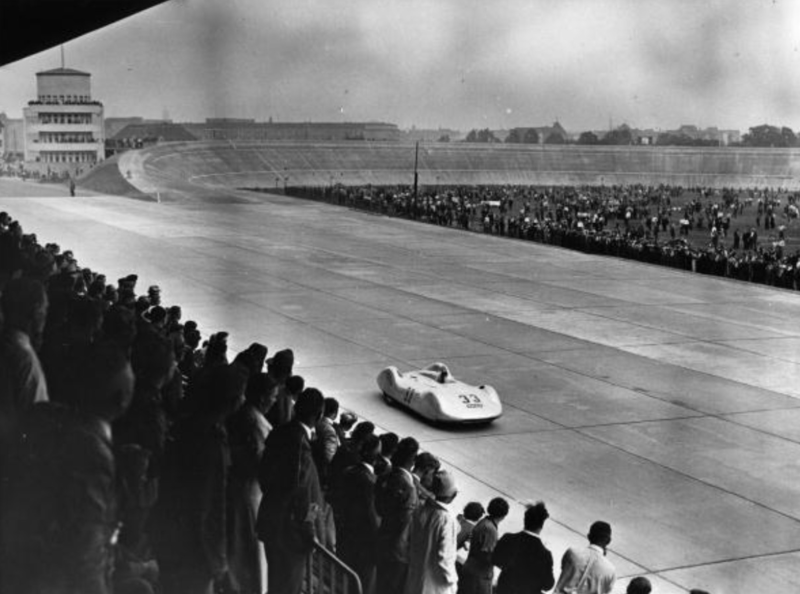 The 1937 race was a Formula Libre event which 300000-400000 spectators attended, what a spectacle it must have been. 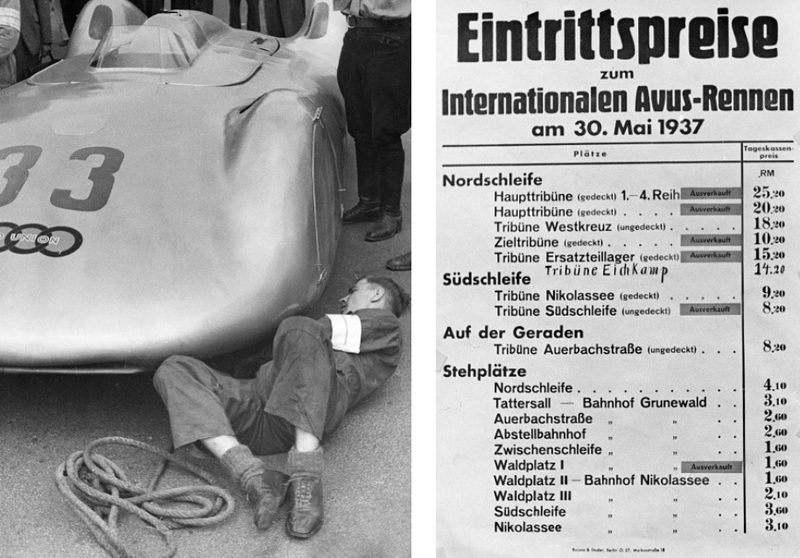 Such was the level of national prestige involved the German teams went all out to win building special cars and testing them in three sessions before the meeting itself. 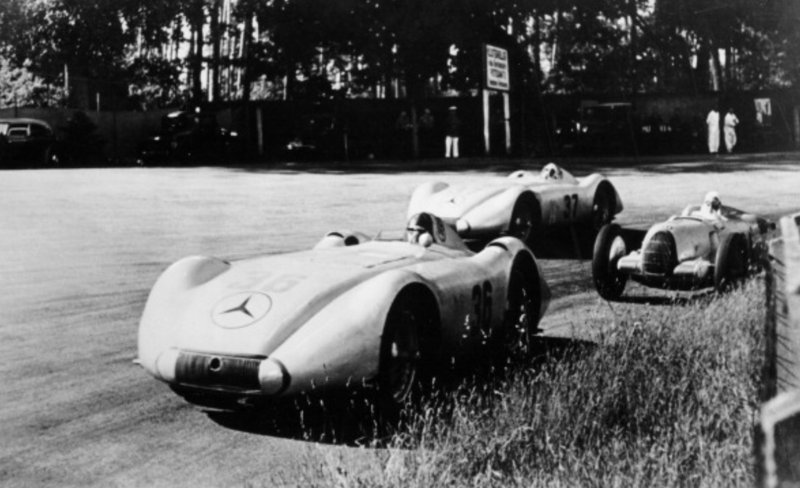 Because of concerns about tyre life, such was the weight, speed of the cars and tyre technology of the day, the 30 May event was split into 2 heats of 7 laps and a final of 8 laps comprising the first 4 placegetters from each heat. 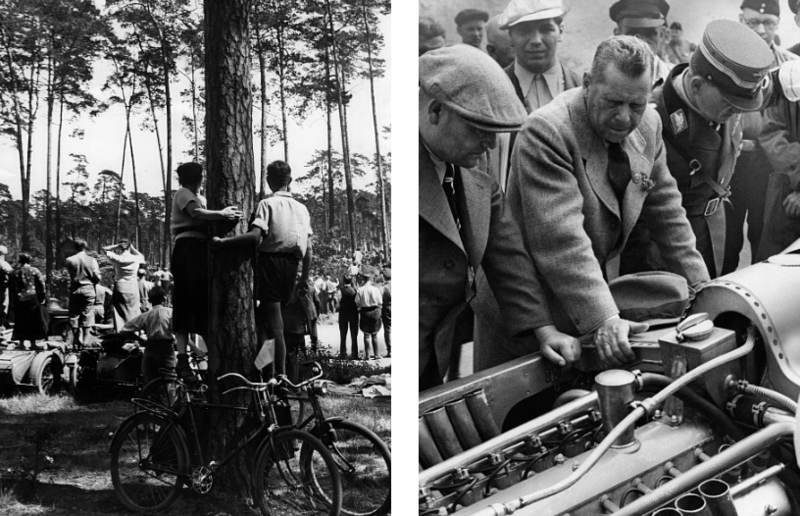 The heats were won by Rudy Caracciola and Manfred von Brauchitsch in ‘Benz W125 and W25K-DAB(5.6V12) respectively, the final by Hermann Lang’s Mercedes W25K-M125. 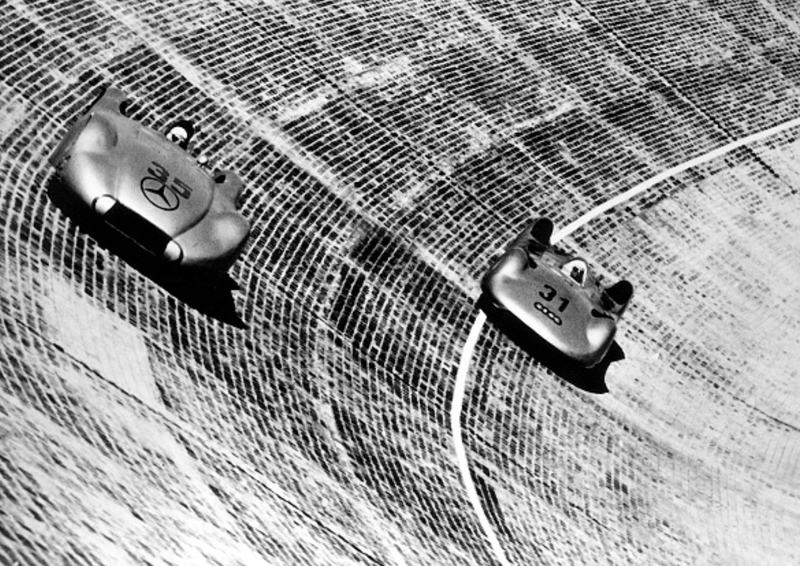 All these cars were ‘Stromlinien’ (Streamliners), single-seaters with all-enveloping bodywork. 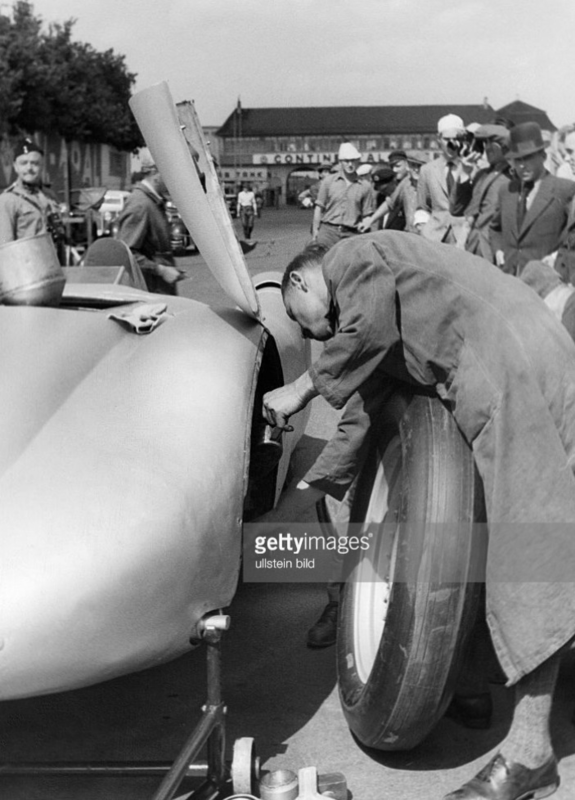 During practice for the meeting Lang’s car, with wheel covers fitted was doing 390kmh when trapped air under the car ‘lifted the front wheels from the ground, luckily the driver kept calm and finally managed to bring the wheels back down’…the wheel covers were removed for the race! 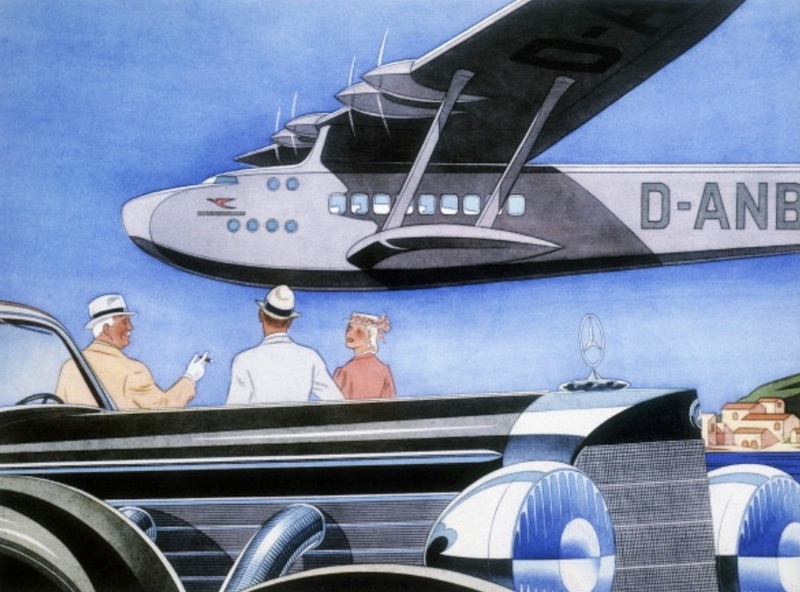 I’ve no idea what the seaplane is but am intrigued to know if any of you aircraft enthusiasts can pick it. 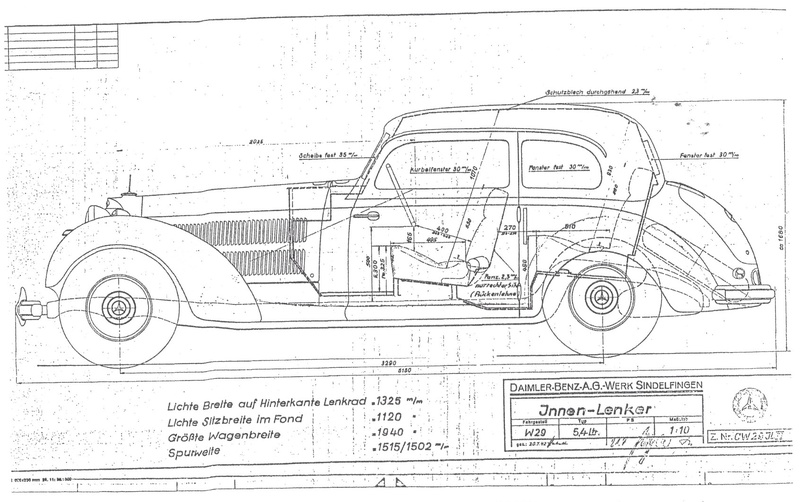 406 of these cars were built between 1934 and 1940. 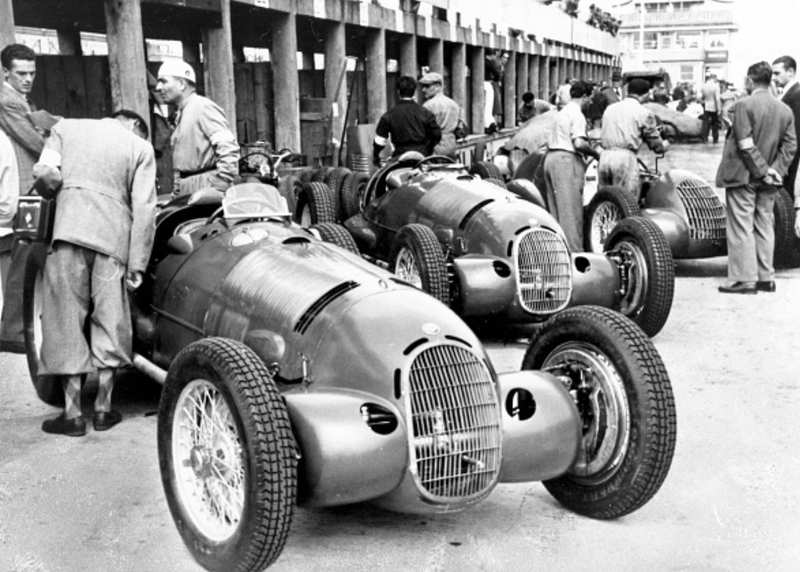 Powered by a 5.4 litre supercharged, 180bhp straight-eight, these elegant 2600Kg beasts topped 105mph and did a standing quarter in around 16.5 seconds. 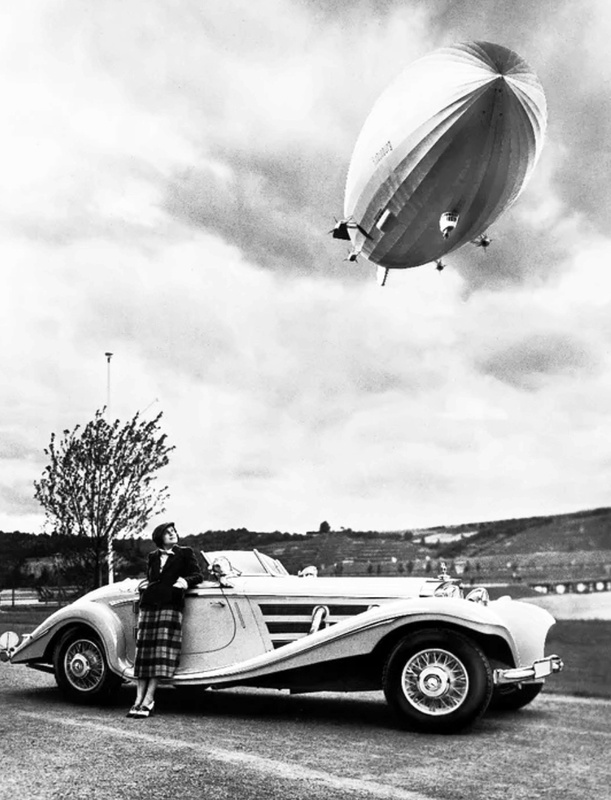 The car above is the ‘ducks guts’ 540K Spezial Roadster of which only 25 were built, the brand association with the Hindenburg LZ-129 airship ended up rather a sub-optimal choice!